Start the semester off right! Well, it’s that time of year again — aka time to figure out what you plan on packing for the upcoming fall semester. 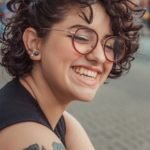 And, whether you’re an incoming Freshman or a rising Senior, one of the most difficult decisions to make, as far as packing is concerned, is figuring out which clothes to bring. Of course, you’ll definitely make sure to have your basics covered, but what about the fun stuff — you know, the trendy, eye-catching pieces that just make an outfit pop? Ahead, see 10 of my top picks of the coolest pieces you need to take with you this fall to college. Best of all, they’re all under $50! Now, go forth this semester and get ready to be the best-dressed person on campus! A good romper is impossible to mess up, even on your laziest days, since all you have to do is put it on, and voilà–instant outfit! So, why not take things up a notch and go for a super-cute denim romper with an ultra-stylish ruffle detail? 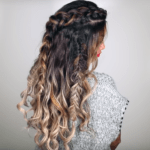 For day, wear it with a pair of flat sandals and a delicate necklace or two, and for night, simply swap your flat sandals for a strappy heeled pair, add a some large hoop earrings and red lipstick, and you’re all set in a snap! As the summer season comes to an end, so too does beautiful summer weather. But you won’t have to worry about blending into a sea of neutral-colored outerwear with this chic bomber jacket, whose surprisingly versatile rusty orange shade goes well with a wide range of colors; I especially like how it looks with blue denim. What’s more, its looser-fitting silhouette ensures that you’ll have room to layer a light sweater underneath once temperatures start to drop even further. If you’re looking to make a statement this semester, then you need these culottes in your life! They’re perfect for wearing either during the day or at night, and can even be worn to work or an internship if you’re in a creative field. 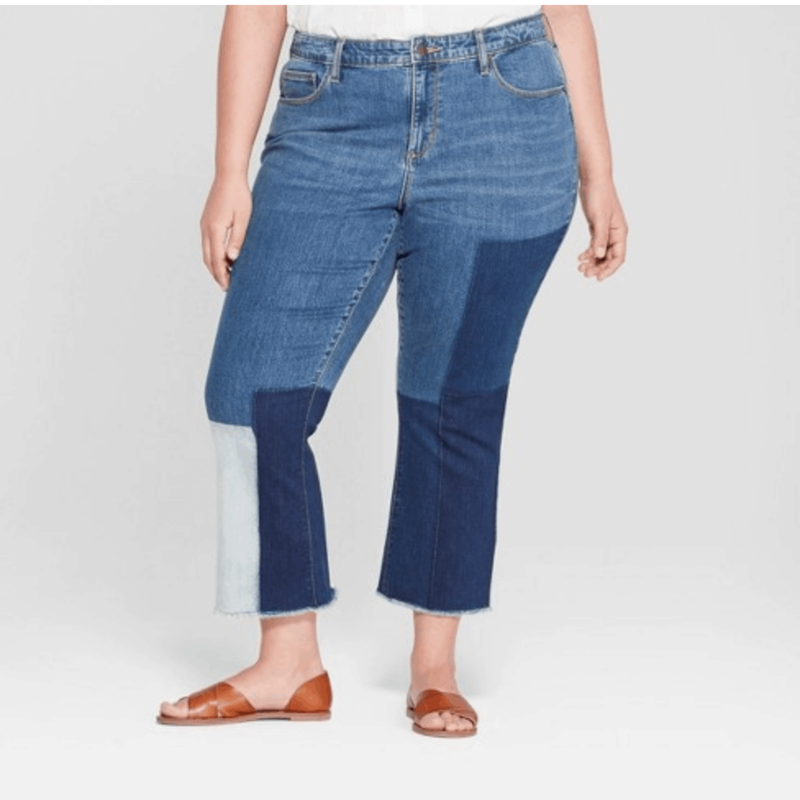 Their wide fit also makes them a great choice for those who prefer to wear skirts and dresses, but want to switch things up a little without going full-on skinny-fit pants. Personally, I love the idea of styling these with a fitted black turtleneck, a motorcycle jacket, white heeled ankle boots, and a beret for a classic look with a twist. Sometimes, you’re just in the mood to wear jeans and a t-shirt. 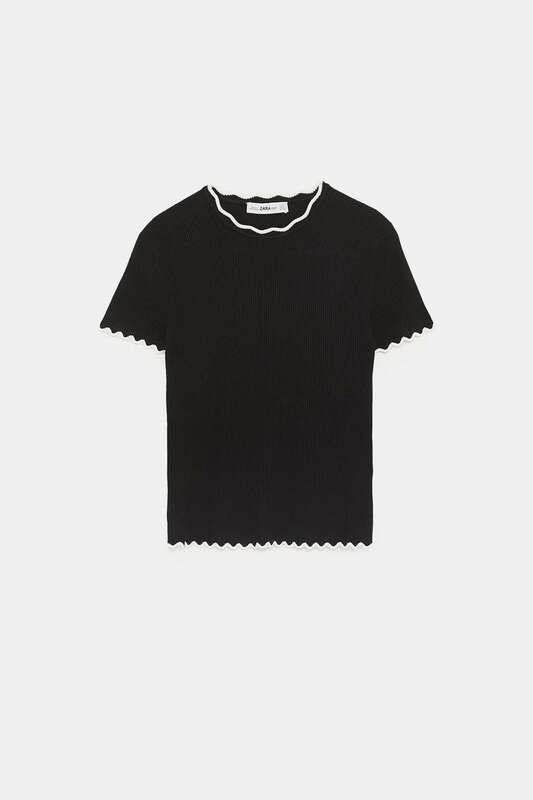 But, why make it a boring t-shirt when you can wear this simple-yet-elegant graphic tee? 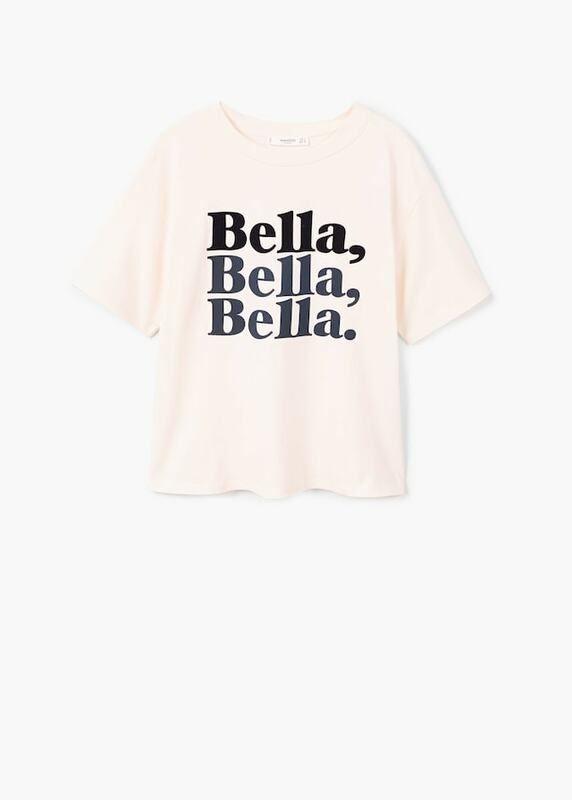 With its slightly oversized fit and flattering off-white color, you may just find that this t-shirt will slowly replace your worn-in plain white one as your favorite! Plus, because it’s not sheer, it’s just right for wearing all year round. 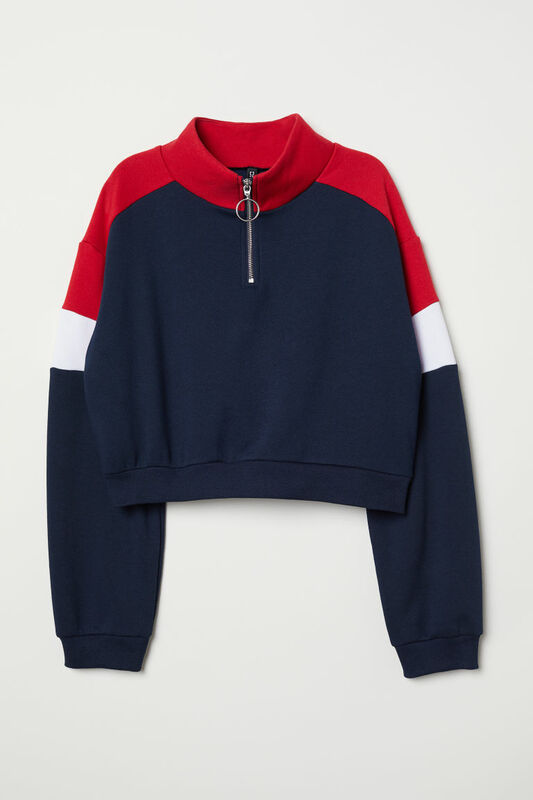 If you’re one of those people (*cough* me) who thought that dressing like an adult meant that a zip-front sweatshirt like this one was off-limits, then you’re about to be proven wrong. I absolutely love the classic color scheme of this one, and the cropped fit and ring zipper pull definitely give it a preppy ’90s feel. Wear it now with white denim cut-offs to really make the colors pop, and later with a black skater skirt for some serious street-style vibes. 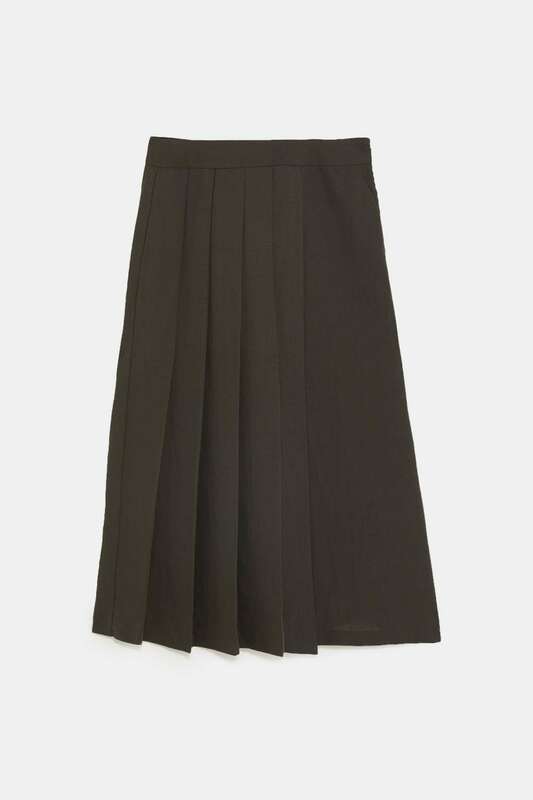 Speaking of the ’90s, doesn’t this pencil skirt remind you of something that Rachel from Friends might wear if the show were still around today? 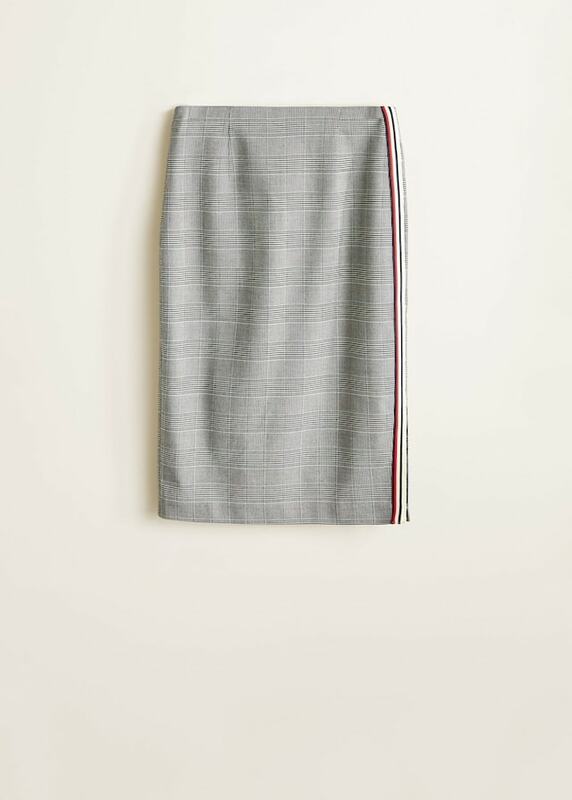 As far as I’m concerned, the longer length and trendy, athletic-inspired side stripe definitely give even her chicest skirts a run for their money! For a throwback look that Rachel would surely approve of, pair this skirt with a black turtleneck, black tights, and heeled knee-high boots. I don’t know about you, but personally, I get really tired of wearing the same solid-colored skinny jeans day in and day out when the weather cools down. That’s why I like these patchwork kick-boot cropped jeans so much: They make a fashion-forward statement without forcing you to sacrifice the familiarity of your go-to classic pairs, while still being easy enough to throw on when you have to drag your half-asleep self to class at some ungodly early morning hour. Plus, their slightly cropped length makes them the perfect transition piece as Summer turns to Fall. This pretty short-sleeved sweater totally has a ’60s vibe going on, but the black-and-white color scheme keeps it looking modern as well. 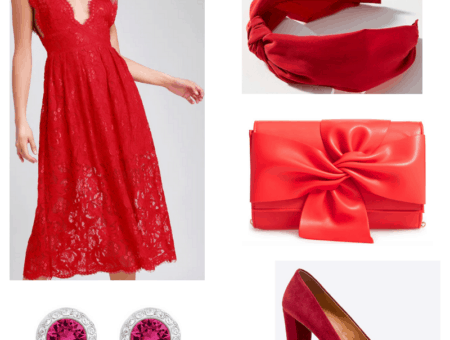 For a retro, feminine look, wear it with a midi-length pencil skirt, black kitten heels, a top-handle bag, and bright red or pink lipstick. 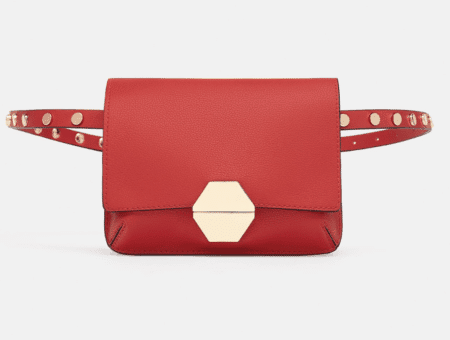 If your style is more contemporary and sleek, wear it with a pair of boyfriend jeans, loafers, and a simple cross-body bag. Corduroy is making a comeback in all its glory, but my favorite iteration is in the form of this corduroy a-line mini skirt. While corduroy is typically thought of as a cold-weather fabric, the pale blue color of this skirt ensures that you won’t look out of place should you decide to start wearing it now. 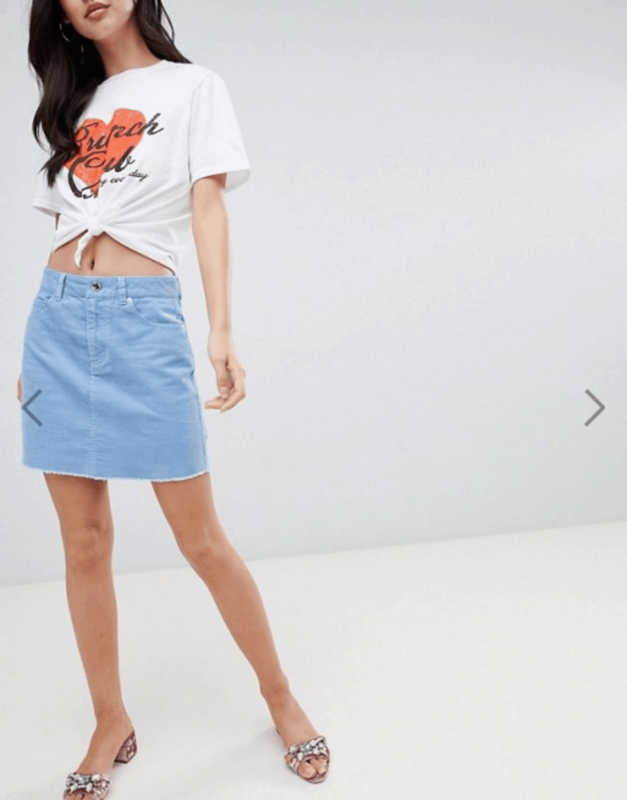 Moreover, from a distance, it looks almost like it’s made of denim, making it the ideal choice if you’re unsure how to wear a corduroy skirt–just stye it how you would a real denim mini, and you’re good to go! Rust seems to be one of Fall’s burgeoning color trends, as evidenced by the fact that this tie-waist midi dress is the second rust-colored item featured on this list! This beautiful, boho-chic dress would look so elegant for fall if paired with flat or heeled knee-high boots, long, swingy earrings, and a hobo bag for day or an oversized clutch for night. With all of the styling options available to you — along with the fact that it can be worn in either warmer or cooler weather — this is one piece that you won’t want to take off! What do you think of these pieces? Which one(s) would you be most likely to take with you to school this semester? What other trendy pieces will you be packing?